Mobile phones are on evolutionary path faster than any known species on earth. Everyday new technology is launched which makes even a month’s old technology seem obsolete. Gone are the days when we waited for the next big thing to arrive months or even weeks later because in today’s time every day is a big day in the world of technology and a new significant leap is taken. Just when you thought you had seen it all with the fingerprint scanner, the much hyped Vivo X5 now brings a camera enabled with eye recognition technology to give you added protection as if you were on a covert CIA mission. The mobile is enabled with a 5.2 inch Super Amoled full HD 2.5D glass with an astonishing resolution of 1080×1920 to give you crisp and clear display bringing alive every colour. 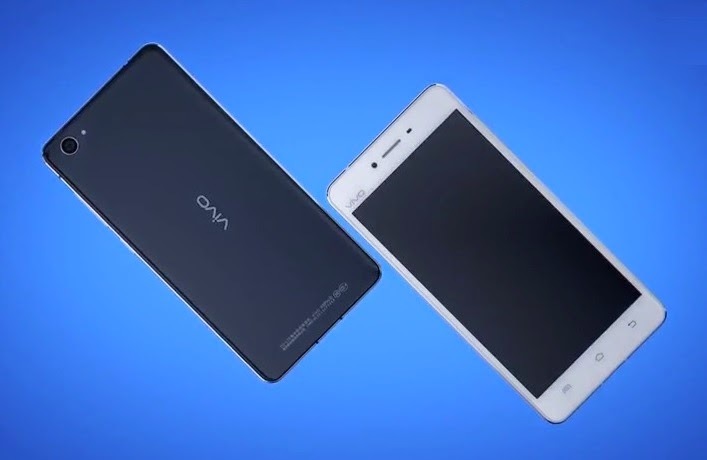 It runs on a 2GB RAM with 64 bit Snapdragon 615 Octa Core Processor that makes this phone a powerful device for seamless transactions and a very fluid interface that makes switching through tasks and apps super fluid so you can now play nonstop games, watch videos and multitask with various apps thanks to this powerhouse. The phone runs on Andriod 5.0 Lollipop and the Chinese Funtouch OS 3.0 UI which should make the phone an instant hit. The phone is dual sim and also supports 4G LTE technology which again gives it a futuristic edge. You can avail Amazon Discount Coupons to buy amazing, futuristic smartphones till we wait for this phone to hit the Indian market. What makes this phone really ahead of its time is its ability to support an 8 Mega Pixels front camera for those perfect selfies moments when you don’t want a single moment in life slipping you by. The camera has the ability to interpolate the images up to the quality of 32 mega pixel which really make this phone amazingly innovative and way ahead of its competitors. Its rear camera is of 13 Mega Pixels which takes sharp images defining every detail your eye might miss. Even at night its LED flash will let you take bright and lit up photographs you will want to share instantly. What truly sets this phone apart is its ability for retina scanning and eye ball recognition by studying patterns of the eye nerves to give unmatchable security to your phone. You can lock the phone, app folders and basically anything you want with this neat feature. Check out online shopping site CashKaro.com to find amazing deals on smartphones with unbelievable features at even more unbelievable prices. The features don’t end here. The Vivo X5 Pro is backed by a 2300 mAh battery to bring you nonstop entertainment on the go so you ddon’t have to keep running after a charger every now and then. The body is light with an aluminium build which proves to be elegant yet sturdy to give your phone the protection it needs. It has inbuilt storage of 16GB which is sufficient but what is really amazing is that it supports an SD card of up to 128 GB to store unlimited movies, videos and songs to watch on its mesmerising full HD screen. The world of technology is moving faster than we can keep track and we’re constantly amazed at what the world of technology is capable of doing in the palm of our hand. Smartphones have truly revolutionised our life and it always comes as a breath of fresh air to find new features being added with every new step we take making our lives simpler!